There are a few essential steps if you want to make a vision board that works. In fact, a lot of conversation about vision boards leave out the parts that are truly essential. So, if you want to learn how to make a vision board that works, that doesn’t leave out the most important steps, is this is the post for you. But, before we dig into the exact steps for making a vision board that works, let me tell you how I came to make my first vision board. I created my first vision board well over ten years ago when I was in the process of healing my emotional eating issues. At the time, vision boards, or even living on purpose were unfamiliar concepts. I didn’t really understand the point of creating a vision board and quite frankly, was just sort of following along with the program. I have a strong creative streak and had paid my hard earned money to be there, so, I just went with it. We were instructed to cut and paste images of things that inspired us onto a piece of poster board. So, we all sat around in a circle, chatting and cutting from magazines for about an hour. I put pictures of books, trees, and a few words that resonated on my board. I wasn’t being too picky about the images, I was just going with what felt right. When I got home, I was kind of embarrassed that I had tiptoed so far into the land of the woo (lol, if only that version of me could see me now), so, I promptly stuffed my new vision board into the far corners of a closet. A couple of years later, I had just started my business and was feeling a major urge to de-clutter the closet in what is now my home office. Shoved back in the corner, I found the vision board and I was shocked at what I saw. I had made a vision board that works! Every single image that I had cut and pasted on that board was real in my life. At that moment, I realized how powerful it is to create your vision, take action that is aligned with that vision, and heal the blocks to making it all real. It’s not the vision board that works. It’s the clear vision + all the other things I did to make my visions a reality. As I look back on the first vision board, I can see that that was how it went down for me. I got clear on what I wanted, I healed the places that were out of integrity with that vision, and I took consistent action. This is the real secret! Use this worksheet as a guide for creating a vision board that actually works. How do you want to feel when those things are your reality? What kind of vision board do you want to make and what supplies will you need? Find a space that you feel comfortable in and that is large enough to spread out all of your supplies. A large table or the floor are usually great choices. What else do you need to create some sacred space to make your vision board in? Need some more ideas for creating sacred space? Here a blog post I wrote about that. 4. Find your images + words. At this step, you are going to find images and words that resonate with your intention, without actually attaching them to anything. Just find images and words that appeal to you by flipping through the magazines and cutting them out. If you don’t find exactly what you are looking for, get creative and make your own. You can print things from the web, draw, or even just write things on colorful paper. What images and words seem to resonate most with your intention? 5. Find the ones that resonate and then, paste them to the page. In this step, you are going to go through the images and words that you chose and see which ones actually invoke the FEELING under your intention. For example, let’s say that your intention is to love yourself more and the feeling “under” that intention is wellbeing. As you go through the magazines, you find images of people working out at the gym, smoothies, and airbrushed models. But, when you look at those pictures, you actually feel like you aren’t good enough or like you won’t ever get there. Those feelings are the opposite of your desired feeling of wellbeing, which means that those AREN’T the images to put on your vision board! You want to select images that actually conjure the feeling of wellbeing. Perhaps that is images of a beautiful field of flowers, the ocean, or a lovely cottage in the woods. Once you find the images that conjure your desired feelings, then, and only then should you affix them to your vision board. How does looking at your board feel? Does it feel like the feelings “under” your intention? Once your vision board is complete, it can now be used as a visual reminder of what you’re desired feelings, intentions, and personal core values. Look at your board often and connect with the feelings under the intention of the board. You can pin the pages up somewhere so that you can see them or put them away and pull it out from time to time. Whatever helps you connect with the feelings of your desire is what matters here. Would you prefer to see your vision board often or do you prefer to pull it out at select times? With that in mind, where is the best place to put your vision board? 7. Write a “make it real” list. Make a list of the things you could start doing to live in alignment with your intention RIGHT NOW. Don’t wait to feel how you want to feel. Put your values and intention into action. That is the awesome thing about living intentionally and being guided by your personal core values. You don’t have to wait for external things to change in order to create success. You can choose them, and therefore be success with them NOW. You cannot control anything outside of you, including other people. So, if you come up with things other than your own internal state or actions, look at the above list of things you can actually control and make a new list. Start putting your aligned actions into practice right away. What aligned actions can you start taking right now, to make your intentions your reality? 8. Notice + heal any resistance. This is where the rubber meets the road and it’s the part that hardly anyone talks about when talking about a vision board that works. As you begin taking action and making your vision real, you will start to notice blocks in the form of stories, limiting beliefs, unhealed emotional wounds, habits, and unconscious patterns that are in the way. Nothing has gone wrong when this happens. It’s how alchemy (aka transformation) works. Healing that resistance, coupled with your aligned actions, is HOW you create a life that is filled with your heartfelt dreams and desires. There is no way around that, my friend. 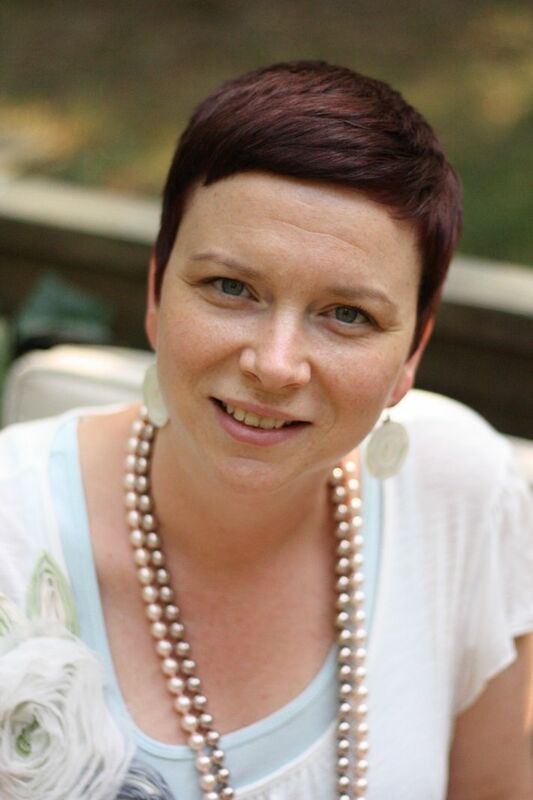 If you need some extra support and energy mojo for this part, you can book an energy healing with me here. 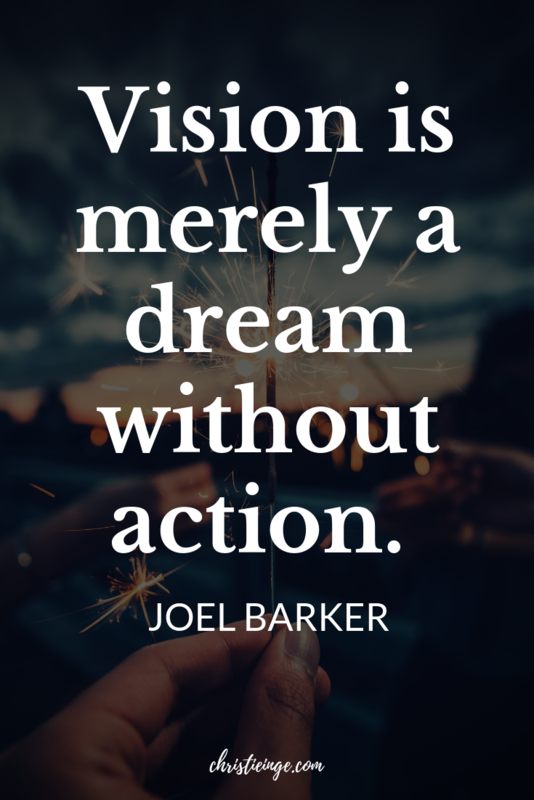 What blocks do you notice as you start putting visions into action? Continue to check in and ask yourself how things are going. Make adjustments and keep fine-tuning. Trust the process and remember, you wouldn’t be able to dream it if it wasn’t a possibility. As you move closer to your vision, what adjustments need to be made? 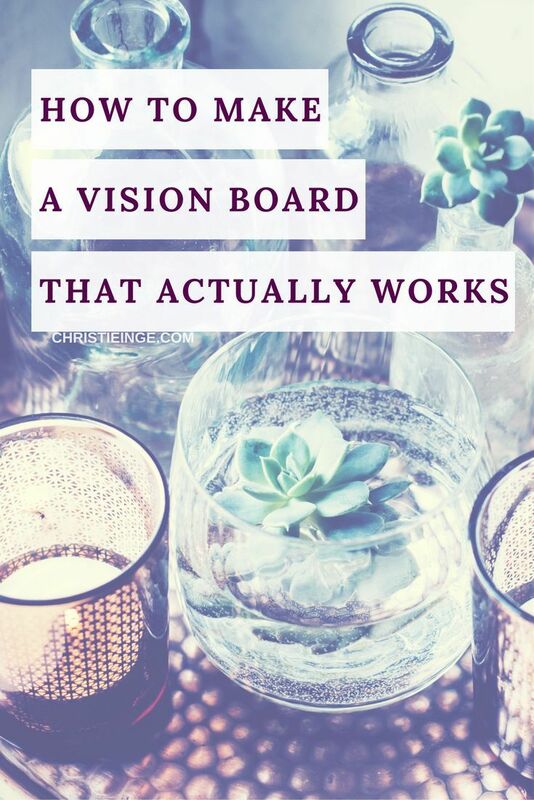 Ultimately, making a vision board that works is about get really clear about what you want, start taking steps towards that vision, and heal the blocks that show up along the way. It’s really as simple (but perhaps not always easy!) as that. Enter your email address below and I'll send you a free worksheet to set the perfect intention for your vision board.